The bay turned out to be a source of destruction for this once-vibrant community of Kesen-numa. The tsunami carried the burning oil slick deep into the inlet valley. I remember this once-beautiful place that I bicycled through on hot summer days when I was in high school. That memory is quite a contrast from what I see in front of me—a half-snow-covered, charred mess. A cold wind hisses as it blows through the wreckage and debris. I see several large ships grounded a couple kilometers from the bay. They were deep-water tuna fishing boats. If these ships came toward you with a burning tsunami, there would be nothing you could do about it. No buildings can withstand such things. 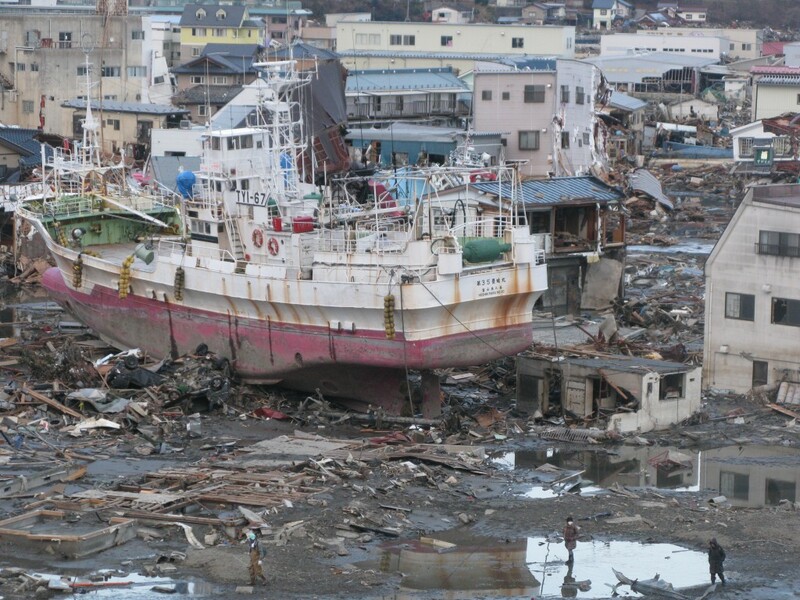 Large ships like this cleaved through vulnerable structures during the tsunami, and were then stranded inland. Narrow bays or inlets are very dangerous. Their shape increases the height and velocity of a tsunami. The effect is similar to squeezing a garden hose. The oil tanks were located in the most hazardous tsunami area with inadequate seawalls. These oil tanks require much taller seawalls if they cannot be on higher ground. 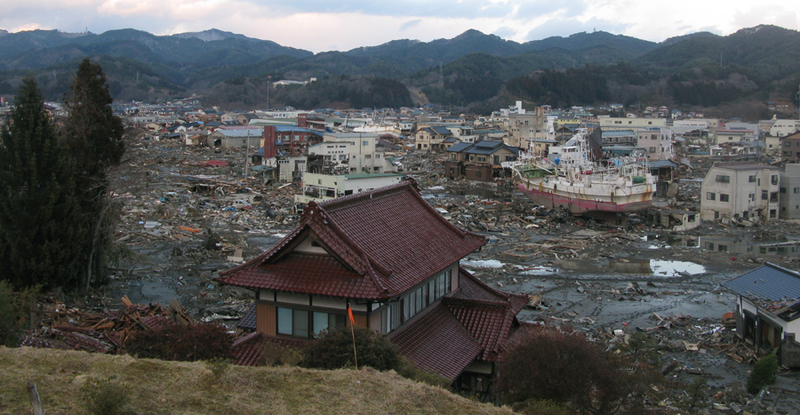 To mitigate tsunami hazards, engineers cannot work alone. Collaboration with planners and architects is critical. It needs to be a holistic approach. Earlier, I’d investigated downtown Kesen-numa. The downtown commercial district was in one of the many inlets in this town, and it was hit by about a two-story-high wave. 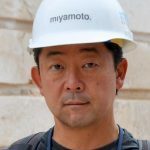 I figured this out by observing watermarks on the surviving buildings. 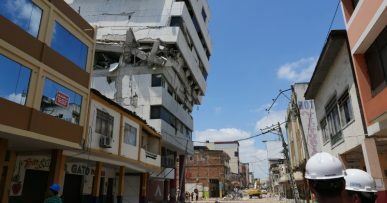 All the buildings that remained were reinforced-concrete structures. About 80 percent of the buildings were totally destroyed or taken out to sea by the retreating waves. All the destroyed buildings were made of wood. Even in the darkest times, hope emerges. I walked through her concrete building, and I did not see any structural damage. I told her that her building was safe to occupy. I could see that she was very relieved, and she cheerfully resumed cleaning up the floor. Her building is a true tsunami-sustainable structure. She was able to continue living in her third-floor residence, which was untouched by the sea. 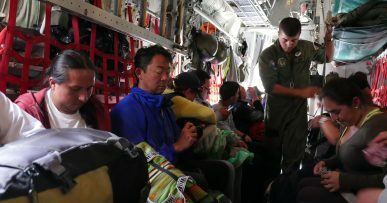 Even when confronted with disasters of this magnitude, we can still be prepared.